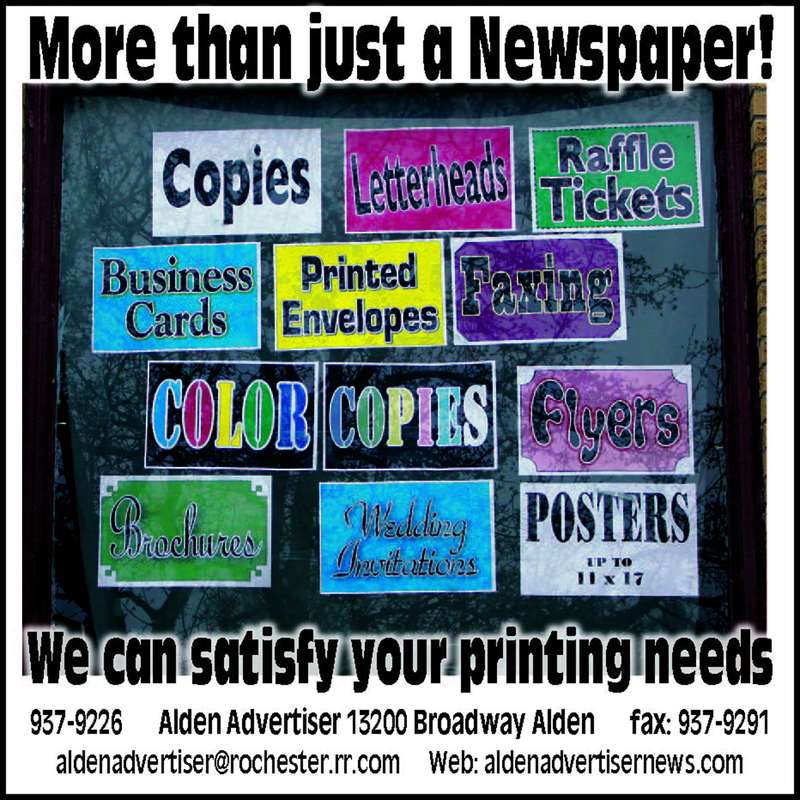 The Alden Advertiser published a sample copy on Thursday, September 17th, meaning that 4,573 households in the Town and Village will receive a copy of the Sept. 17th issue. 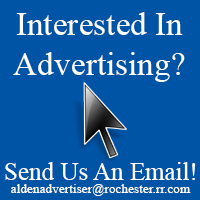 A form to order your subscription, which is delivered each Thursday by the post office, is included in the paper along with the ACS Fall Sports Schedule and team photos. Extra copies are available in our office and at Tops, A-Plus, Cosbys, Kwik Fill on Clinton St., Alden Village Market, Alden Pharmacy, and Rite Aid.